Bank-Black is the single most powerful economic movement currently taking place in Black America. “Now” is the time to utilize our Black banks as more than a place to hold our money, but as a resource for securing capital. In an effort to help Black entrepreneurs obtain capital for personal or business use, we’ve created a Bank Card with one of the nation’s most trusted and historic Black-owned banks-- Liberty Bank. Join us in Banking-Black. Apply for your USBC Bank Card today. The USBC's Credit Card has been instrumental in facilitating the financial management of our small firm as we enter an expansion phase in our business development. 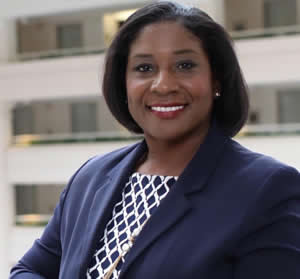 As an original incorporator of the U.S. Black Chambers, Attorney Aimee Griffin has fought for economic justice for people who have been denied access and opportunity. Aimee Griffin, Esq., has committed her life to working with individuals and businesses to create wealth and maintain it through business and estate planning. Aimee is the principle at the Griffin Firm, PLLC where she works closely with individuals to help them become successful business owners. "We pride ourselves on developing synergies and promoting entrepreneurial talents among individuals and business entities. Most importantly, our estate planning firm prides itself on promoting economic empowerment tools that support Black communities. We are proud to be associated with The Bank-Black card because of the empowerment that is symbolizes." "As a member of the Board of Directors for the U.S. Black Chambers, we have continuously discussed ways in which we can collaborate not just for the good of Black banks but for economic empowerment of Black business owners. The USBC's Bank-Black initiative is a clear win-win." "Banking-Black is very important to me because Black Banks help serve as the financial backbone to entrepreneurship." Entrepreneurs aren't made. They're born. Brian Joubert is a testament to that. Even as a child, the New Orleans native showed that he was a natural-born leader and a businessman, a winning combination that's been successful for both him and the many small businesses he serves through his tax service empire-- L&B Tax Service, Inc. Heading towards its fifteenth year, L&B has grown from a home-office in Mableton in Metro Atlanta to seven locations that include Houston, New Orleans and DC. "Barriers to financing and funding prevent many Black entrepreneurs from taking their business to the next level." "I applied for the USBC's Bank Card because I wanted to be an example for business owners, showing them how simple the process was and how beneficial this card can be for individuals with personal expenses and entrepreneurs with operating expenses. The USBC's Bank Card has allowed me to purchase supplies, equipment and other resources to expand my business." Bank-Black is the single most powerful economic movement currently taking place in Black America. Join the U.S. Black Chambers, Inc. in it's effort to help Black entrepreneurs obtain capital for personal or business use. Share this vital information with your network of family, friends, and entrepreneurs. To learn more text USBCCARD to 22828 or click here to apply for your USBC Bank Card. "Banking-Black can be a seed that with cultivation can increase Black personal wealth." -Ed Swailes, USBC Bank Card recipient. Ed Swailes is the Founding Managing Director of The Syndicate Inc., an award-winning marketing agency. He currently directs corporate image-enhancement for major retail and tourism advertising, along with conference sponsorships and organizational resource development for the company's client list. Prior to founding The Syndicate, Mr. Swailes spent 15 years in national print advertising sales. Ed Swailes has successfully established himself as the "go-to" guy for advertising and sponsorship development. "I applied for the USBC Bank Card as a way to pay down higher interest credit cards. The USBC Bank Card is a great way to improve one's credit rating while taking advantage of the lower interest rate. Increased credit and a better interest rate to pay down existing business expenses helps my business stay financially stable." "Bank-Black is extremely important, it can be an economic engine used to finance every day needs in the Black community like mortgages, car loans, equity loans, etc. As well as, business loans thus creating a more economically stable Black community, allowing Black businesses to grow, who can then provide more products and services and most importantly jobs." 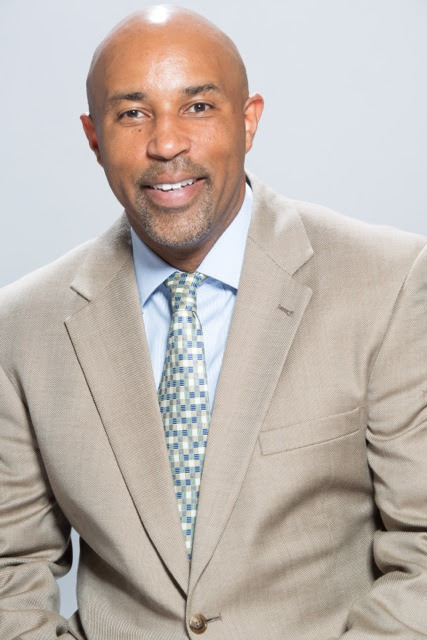 In an effort to help Black entrepreneurs obtain capital for personal or business use, the USBC has created a Bank Card with one of the nation's most trusted and historic Black-owned banks-- Liberty Bank. Join us in banking Black. Apply here for your USBC Bank Card.